Four-year-old Trinley Gyaltsen, son of Lama Gyurme Raboyes and Tsewang Yudron, runs in 2010 to the Tara Mandala Temple, located south of Pagosa Springs. 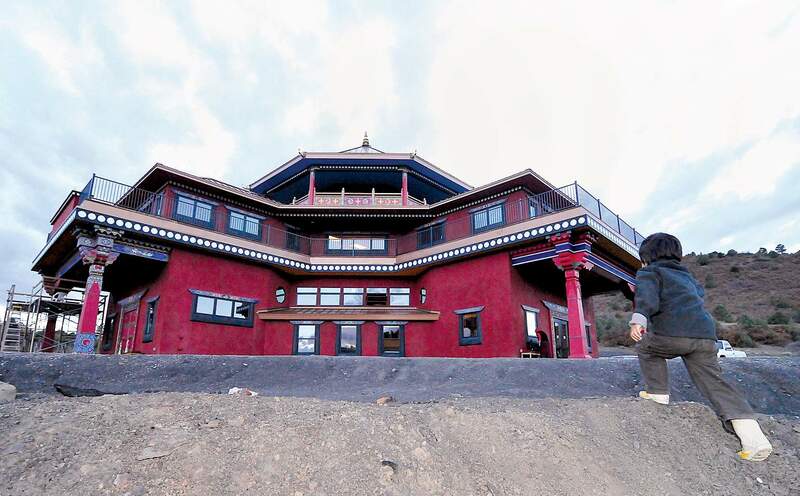 The last open house event for the summer will be held at 9:30 a.m. Sept. 2 at Tara Mandala Retreat Center and Temple, located at 4000 Forest Service Road 649, about 15 miles southwest of Pagosa Springs. The event, free and open to all, will include a guided tour of the center and temple, an introduction to meditation with time for questions and a vegetarian buffet lunch. To register and for more information, visit www.taramandala.org/open-house.